I’ve written before of my quest for sauces and marinades that have no salt, no fat and no sugar. Finding them is almost impossible, with some notable exceptions. 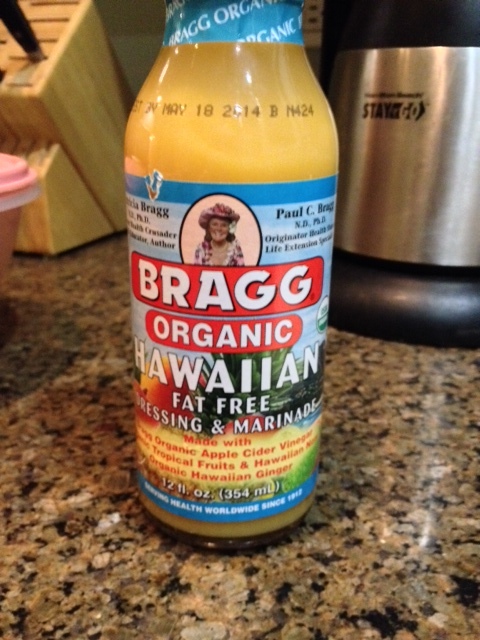 One of those is Bragg Organic Hawaiian marinade which I buy at Whole Foods. As you can see on the label here, it has no salt and no fat. 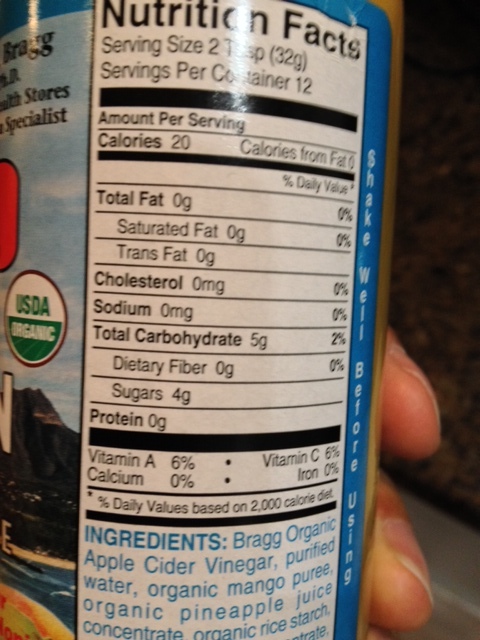 At 4 grams, it’s sugar content is very low for a marinade as well. I would call it a dream product that makes me forget about my dietary restrictions. We’ve used it on fish mainly but it likely would work on chicken and salads as a dressing as well, perhaps even on grilled vegetables. It’s not cheap ($5.79 a bottle online) and I’ve never seen it on sale, but it’s worth the price, I think.